TED Talks Education is part of American Graduate: Let’s Make it Happen, which is using public media to help improve high school graduation rates. TED Talks Education’s host, musician John Legend, promoted the goals of the initiative in September 2012 on the first-ever American Graduate Day. What is the American Graduate initiative? 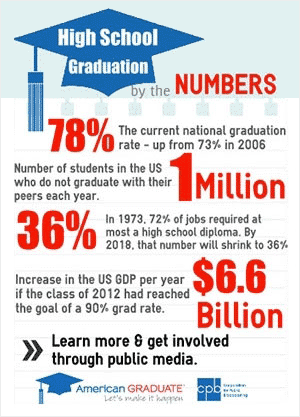 American Graduate: Let’s Make it Happen is a long-term public media commitment, made possible by the Corporation for Public Broadcasting (CPB), to help communities implement solutions to address the high school dropout crisis. Across the country, public radio and television stations are increasing awareness of the issue through national and local reporting, convening diverse local stakeholders, and providing access to free educational resources for teachers and parents. TED Talks Education speakers Sir Ken Robinson, Geoffrey Canada, Rita F. Pierson, Dr. Angela Lee Duckworth, Malcolm London and Ramsey Musallam spoke with American Graduate about what a high school degree meant in their own lives, the dropout crisis and what resources are available to students and teachers today. These interviews and a wealth of programs, news reports, documentaries and series on the American Graduate site put faces on the numbers and provides programming on demand. More than 75 public radio and television stations in 33 states are collaborating with over 800 community partners and 200 at-risk schools to shed light on the high school dropout problem and share solutions. These public radio and television stations are at the core of this initiative with local content and collaborations. 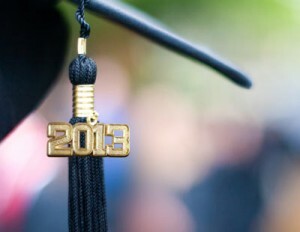 Learn more about American Graduate in your community. American Graduate Classroom Resources offers the best of public media’s interactive resources and educational projects for use with middle school and high school students, multimedia productions created by youth, and professional development videos for educators. The 800+ resources are designed to bring educational content to life in engaging and innovative ways.